We are amongst the most reputed names in the industry, offering Textile Pretreatment Chemical. Swelling & Scouring agent for polyester & its blends. It fills up the gap of rotto fiber resulting uniform & deep dyeings. It provides bulkiness to the fabrics. : Swelling, stain removing & wetting agent for polyester & its blends used in drum Washer or rotary drum. It produces grain effect in the fabrics. We are engaged in the manufacturer, exporter, trader of pretreatment chemicals, which is of high quality and highly demanded by the large industries. In the auxiliaries for pretreatment sector, Neptha has been active for many years as a reliable partner capable to supply a complete range of chemicals, meeting the highest ecological requirements. We provide highly effective Pretreatment Chemicals for the dyeing applications in textile industry. Pretreatment Chemicals, offered by us, are manufactured from the optimum quality base materials to ensure excellent dying of garments. We stand among the key Manufacturers and Exporters of Pretreatment Chemicals in India. 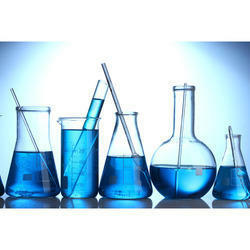 We are leading formulators of a wide range of Pretreatment chemicals. 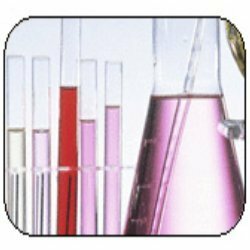 We are a leading trader wide range of pretreatment chemicals.